As a junior on the world wheelchair tennis circuit, Gordon was ranked number 1 and won repeated Junior World Masters titles. He has represented GB at the Invacare World Team Cup for the past 7 years, winning one junior title, and being a pivotal team member in gaining promotion to the World Group 1 and later assisting the team finish a record breaking 5th in the table. Gordon’s continued hard work and dedication was rewarded with his selection to compete for his country again, only this time, at the London 2012 Paralympic Games, where he reached the quarter finals of both the singles and doubles events. 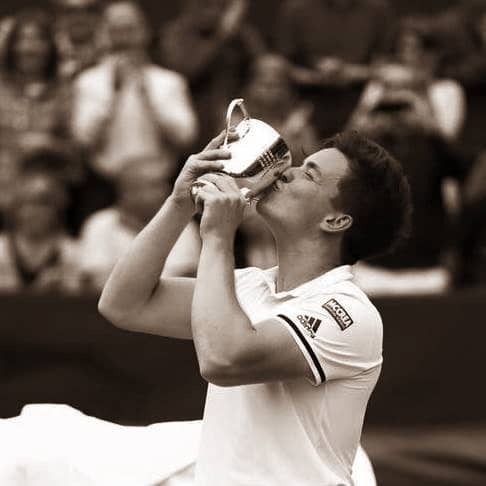 In January 2016 Gordon Reid won his first ever grand slam singles wheelchair title at the Australian Open. In July 2016, he followed up with his second grand slam victory in the inaugural singles wheelchair championships at Wimbledon. In September 2016, Gordon won gold at the Paralympic Games, competing in the Men’s Wheelchair Singles tennis. He also took Silver in the Men’s Doubles.